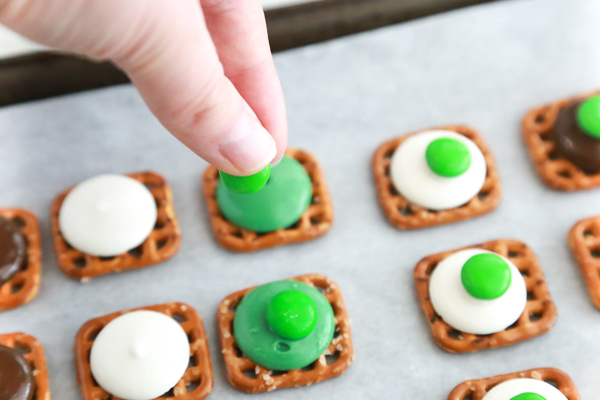 These Easy St. Patrick’s Day Pretzel Bites are super easy to make and super fun to eat! The combination of sweet and salty makes these Pretzel Bites absolutely worth the calories you’ll be consuming when eating them. 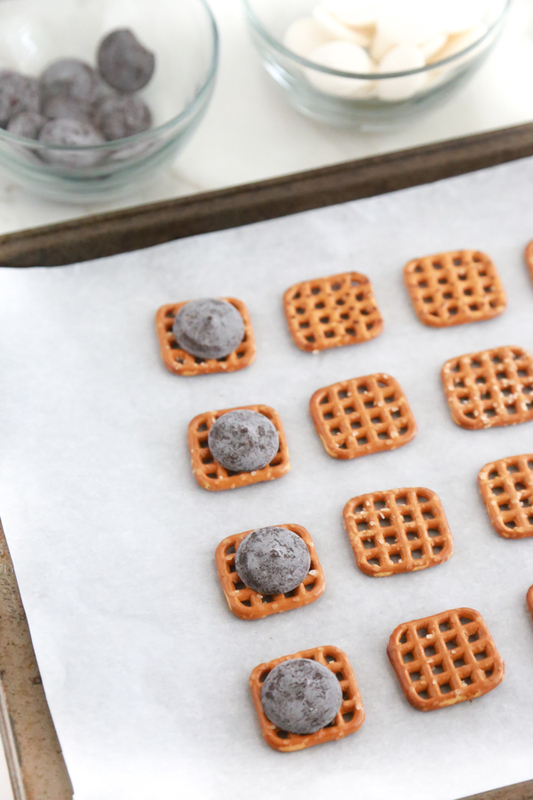 With a little bit of sweet and a little bit of salty, these Pretzel Bites make the perfect bite-sized treat when a craving strikes. I know you don’t want to spend hours in the kitchen making something sweet to eat. There are other things you want to be doing, I get it. 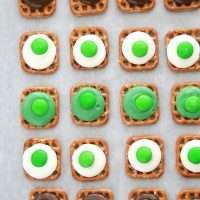 That’s why I’m sharing these Easy St. Patrick’s Day Pretzel Bites – they’re so incredibly easy and don’t require a big time investment. All you need is 3 simple ingredients and around 5 minutes to get these tasty treats in the oven. And once in the oven, it’s another minute or 2 before they’re done. The hardest part is waiting for the candy melts to cool and set. 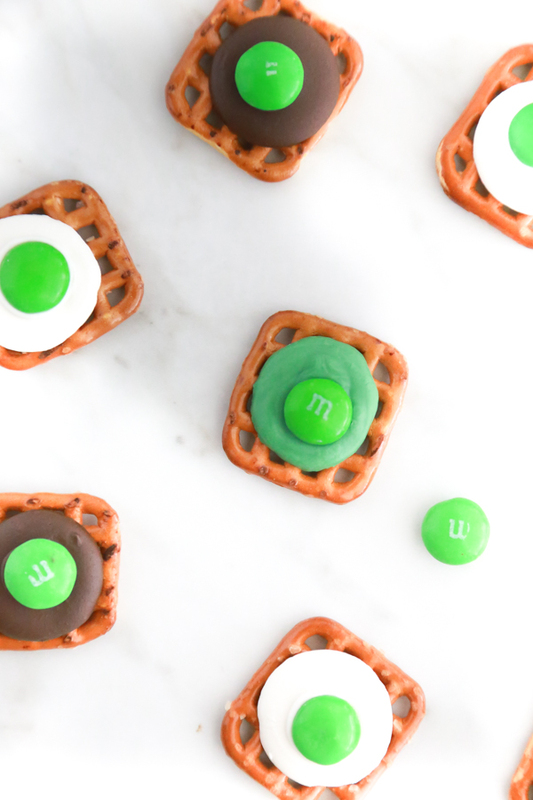 Waffle PretzelsGet it now! 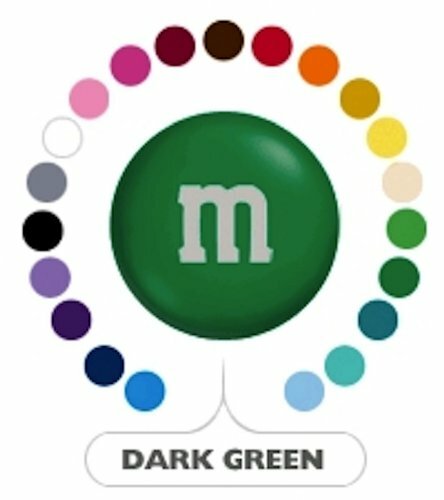 Green M&M’sGet it now! 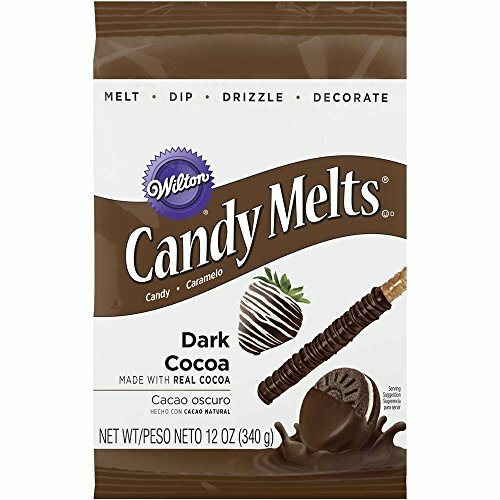 Candy MeltsGet it now! 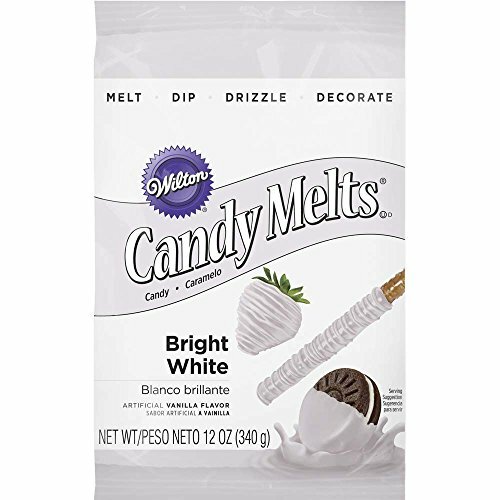 Candy MeltsGet it now! 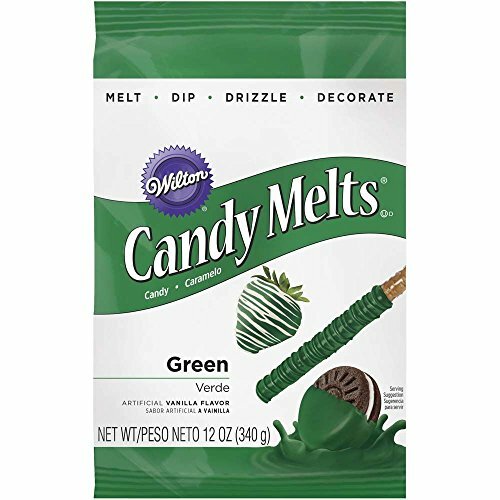 Candy MeltsGet it now! 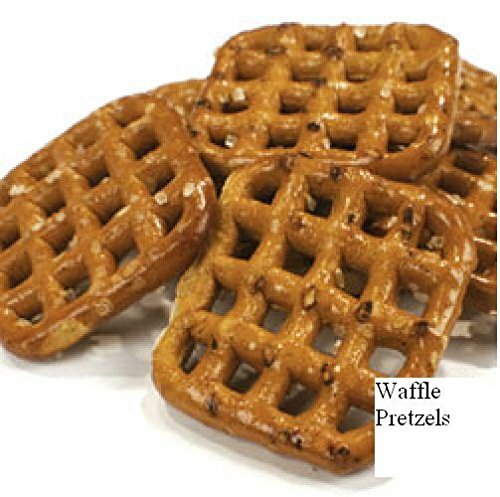 If you can’t find Waffle Pretzels (square-shaped pretzels) in your market, feel free to use the twists. They work just as well, I just like the way the square-shaped pretzels look. They key here is to make sure you have your M&M’s ready right when you take the Pretzel Bites from the oven. Immediately place the M&M’s on the melted candy melts, but please watch your fingers as the candy melt will be hot. Once you’ve placed all the M&M’s, set aside and allow the candy melts to set and harden. If you happen to be in a hurry, just put the tray into the refrigerator for about 15 – 20 minutes to help speed up the process. Preheat oven to 350° degrees. Line a baking sheet with parchment paper. 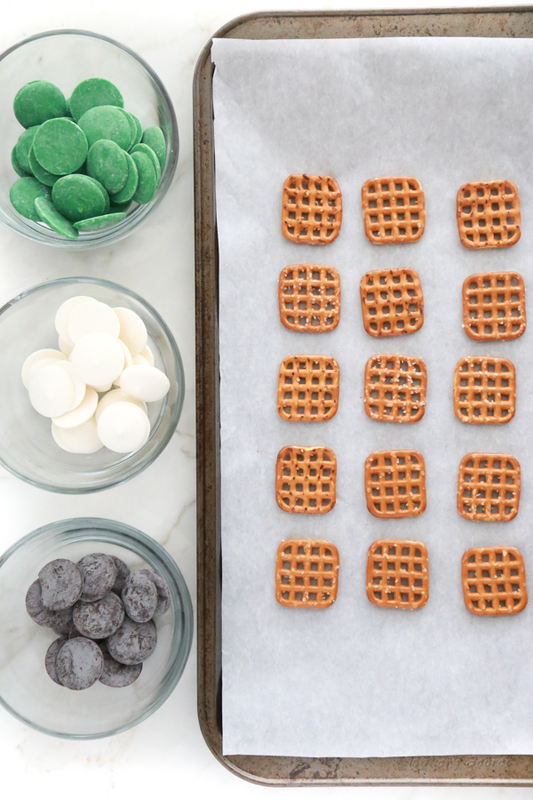 Arrange waffle pretzels onto the prepared baking sheet. Top each pretzel with a candy melt. Put in the oven for 1 - 2 minutes. Baking time will vary so watch very carefully. Once you notice the candy melts beginning to melt, remove from oven. 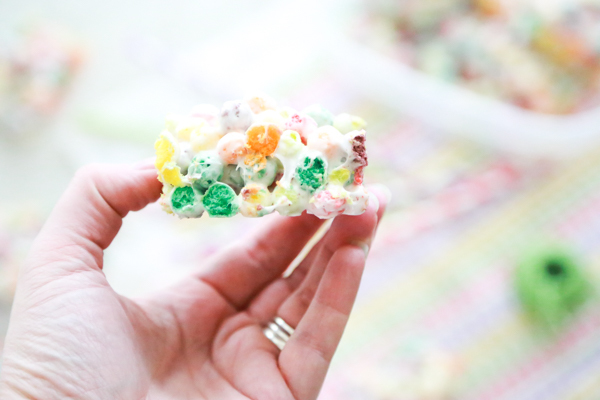 Immediately place an M&M candy onto each candy melt and press down gently. Allow to cool for about 15 minutes so that the candy melt will set. Once set, eat and enjoy! 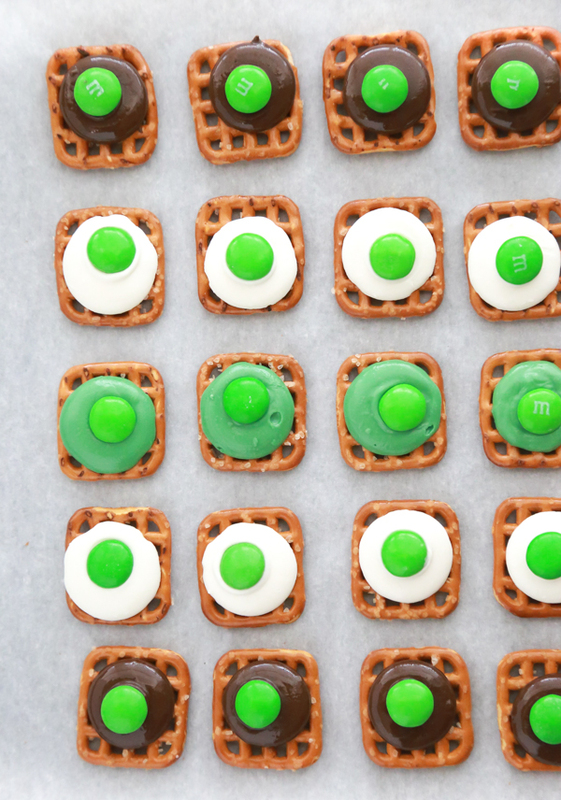 Don’t forget to pin these Easy St. Patrick’s Day Pretzel Bites to your St. Patrick’s Day board so that you’ll be able to find it again easily. 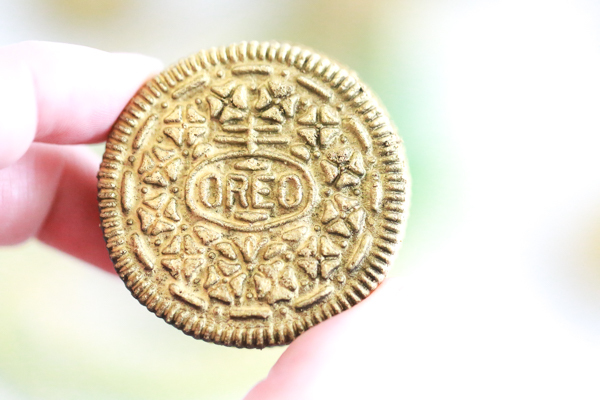 If you’re not following me already, hop on over and follow me because I’m pinning some pretty yummy things, y’all. So easy and fun! nice project to make with my children. I love these easy and fun activities. Thanks for sharing! I love sweet and salty treats! And these are super easy and fun to make. And I’m sure it would take all of 2 seconds for these to get devoured at our house! I loved how easy and simple these are. Perfect in the lead up to St Patricks Day and they look so attractive as well. The sweet and salty flavors should be quite effective. These are so cute St Patricks day is my birthday so I may give these a try. We still need a kitchen project to go with our St. Patrick’s Day lesson. This will be perfect. You had me at easy! I love easy recipes and pretzels are my favorite! 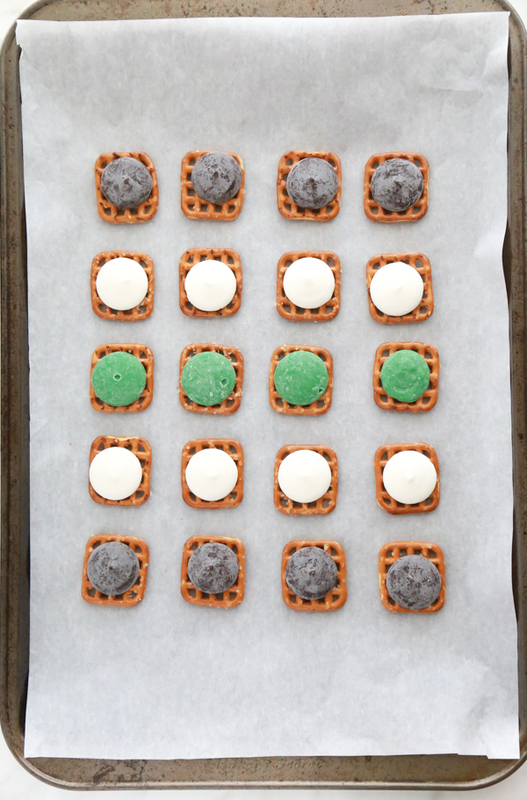 I will have to try to make your St Patrick’s Day pretzel bites, for sure with the trio! They are super colorful too. 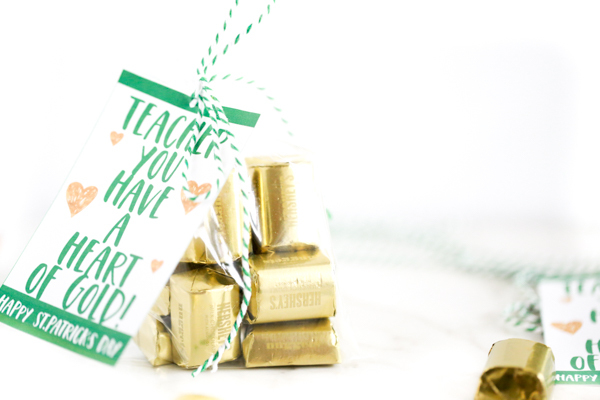 What an easy way to make an adorable holiday treat! My favorite would be the ones with the chocolate chocolate. Yum! Sweet and salty is my favorite treat flavor profile. I make something similar to these but w/ rolos too. Can’t go wrong w/ an easy yummy treat. These seem fun and easy to make! May have to try them and get a little festive!